Max Amount of Loan: $5,000,000 for 7a. (504 up to $12,000,000 & no limit on conventional) Hotels typically use the SBA 504 loan because of the loan amount required. Depending on many factor the typical 100 room national brand hotel will need $8 to $10 M loans assuming the land cost does not exceed $2 M.
Certified Green Construction: Cost included in loan if approved in original budget. Electing to use green construction is becoming more popular due to the annual savings on utility cost. You also receive benefits from SBA for going green. Contact us for details on the advantage of using green construction. See the Home2 by Hilton that SBA-Capital arranged a $10 M SBA 504 loan for construction and permanent financing for the hotel which was 80% completed on the date of this blog. Finding capital is easier than you might think. In today’s competitive market, the benefits of renovation are giving hotels an edge in attracting new and returning customers. Guests expect a hotel to be well maintained and comfortable, and that means more than just replacing worn out furniture and mattresses. It is essential to keep a hotel current in atmosphere, service and technology to meet or exceed guest expectations. Hoteliers should set aside five percent of annual revenues to use towards maintenance and renovation. Hotel renovation is your best guarantee of continuous revenue. By industry standards, a renovation cycle peaks at three years at which point a new renovation must be considered. There are many reasons to upgrade hotel furniture, fixtures and equipment. Generally, renovations are done either to keep your hotel up-to-date or to bring in new business with a more major overhaul. Here are some reasons to consider a renovation. If you were fortunate enough to buy solid, durable hotel furniture that has given you many years of service, the main reason to upgrade would be changing styles. Lead-based paints and flammability standards on furnishings have many insurance disadvantages, as well as health concerns. While hotel furniture can be used for a limited amount of time after various pieces have broken, it will all eventually need to be replaced. Many hotels like to keep the style in their rooms fresh and modern. Redecorating is the perfect time to upgrade hotel furniture, as well as décor and wall art. In purchasing or building a new property, sometimes the furniture will be moved from an existing location to another. This simply transfers the existing property’s problem with aging furnishings to the new location. Consider upgrading hotel furniture at both the original and new location. A property improvement plan (PIP) is required to bring a hotel in compliance with brand standards. An effective PIP should help owners gain market share, increase guest satisfaction, drive revenue performance, and enhance profitability. Elements like lighting, faucets, and fixtures are foundational for brand standards, but now energy-efficient equipment upgrades are entering the equation. Brands are pushing hard to incorporate sustainability measures into the conversion process. For instance, if a boiler system has a 30-year life expectancy but it’s only 20 years old, owners might consider changing it out early. A warm weather conversion has no down time, and new systems are 30 percent more energy efficient, reducing long term operating costs. You need a strategic short and long-term plan prior to starting any major project in your hotel. If you cannot afford to renovate the entire hotel at once, you must renovate in stages. 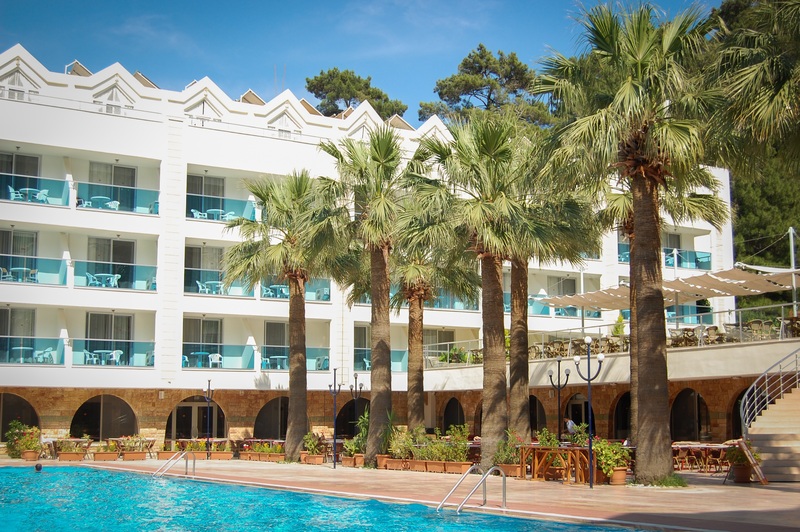 Begin with the portion of your hotel that is in the most need of a refurbishment. Guest rooms are the top priority. If your guest rooms are worn out – with torn carpeting and ragged curtains, begin with these. If your lobby is falling apart, concentrate the first part of your renovation on this section of your hotel. If there is not one area that stands out as needing a renovation more than others, examine how your hotel is positioned in the market. Consider the business you are attracting, where you make money, and how this fits in with changing consumer trends. Does meeting and conference business bring you the most revenue? Is weekend leisure business driving your customer base? Does your restaurant bring in a lot of business, but needs a facelift? Competition can drive renovation. Perhaps you are looking to renovate to bring in a new customer base. Examine what you are lacking in your hotel. Concentrate on services or amenities that could be added, expanded or upgraded to give you a competitive advantage toward gaining new customers. Schedule renovation during your slow times. It is always best to have the majority of the renovation project take place during slower times of the year. You don’t want to close your hotel and lose business, and you risk losing employees if you don’t provide them with a consistent paycheck. Plan wisely and you should be able to remain open during a renovation. 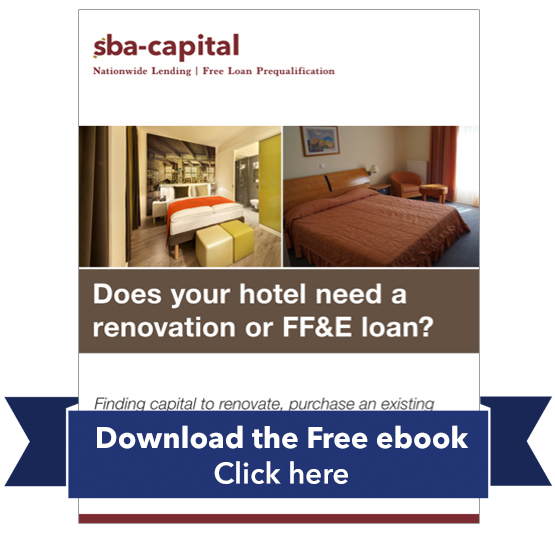 Sixty percent of hotels refinance their property to a lower interest rate for a longer period of time to raise capital to fund renovations or Property Improvement Plans. Ten percent of hotels apply for financing for new hotel property construction and permanent financing. Whether you need renovation or new construction, quick loan approval can mean the difference in remaining competitive in the marketplace, your ability to increase revenue while maintaining cash flow, and reducing monthly expenses. It all starts with a financial partner that understands the hospitality industry. Your ideal financial partner will be experienced in both Property Improvement Planning and systematic renovation financing. Like education, these two efforts are a continuous process. The mortgage banker you select must understand the steps required of hotel financing, including the loan approval cycle, documentation requirements, underwriting and environmental studies, which may be requested. If the mortgage banker is inexperienced and fails to follow through on all details, even the minor ones, closing the loan may take six months or more, seriously jeopardizing the project. Selecting the right mortgage banker who understands the unique imperatives required in hotel renovation can shorten the process to close on the financing to just six weeks. A partner you can bank on. Hotel renovation is a unique endeavor within the unique hospitality industry. A delay in financing the development of a commercial property is standard fare and presents few major issues. A delay in securing financing for an operational hotel property renovation can seriously jeopardize guest experiences and the hard-won equity of your hotel brand. The ideal mortgage banker will be experienced in hotel renovation, with a substantial track record of success. They are truly a partner and will streamline the loan approval to closing process while holding you accountable to provide the required documentation in a timely manner. Choose wisely, and your renovation can be a positive experience for you, and your guests.